Gen Y grew up with and revolutionized social media. It’s changed the way we interact with each other, including how we interact with our co-workers. Our data shows nearly 60 percent of Gen Yers are Facebook friends with co-workers on the same level as them, and 20 percent are Facebook friends with their immediate supervisor. As social media week comes to Chicago next month, we wanted to look at a few new things in social media. Are they catching on with you? With devices such as tablets and smart phones taking over face time, sometimes you need to take a social media vacation – that is, that a break from your social media. #SocialWave Hotel, has the opposite idea – take a vacation to become more connected. The new “Twitter Sphere” stay allows guests to connect to other guests via #’s and @ signs as well as IRL. Along with staying connected digitally, the hotel offers a web app offered only through the hotel’s wifi which allows guests to reserve a #Balibed and be invited to the Friday #TwitterPoolParty’s. Future plans include allowing guests to hash tag requests to chefs and song requests to the DJ. With Gen Y having to stay constantly connected, it is no surprise that new technology has emerged that will bring a user-interface to the bathtub. This Aqua Kinect Projector is still in the works; however it shows that this technology is not out of reach. The interface allows users to stay connected while bathing: being able to go through folders, deleting, adding, and attaching documents. The concept is not yet available, however perhaps soon, we will be able to do work from our bathtubs instead of our desks. Is Facebook dying for young Gen Yers? According to a 13-year old New Yorker, Ruby Karp, it is. 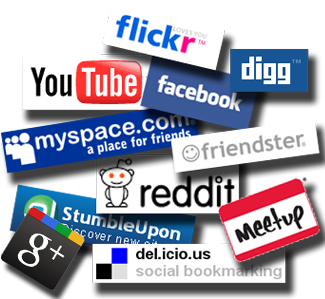 Ruby explains how other social media sites are more ideal for the younger generation because age limits are not required and the sites are not being used as “marketing mouthpieces” as Facebook and Twitter have been promoting. Is Facebook “just a thing our parents have,” or is it just becoming too cluttered with advertisements and promotions that the younger Generation Y is losing interest? Tell us in the comments – are you planning a stay at #SocialWave, looking forward to a social bathtub or over Facebook?